If the adage 'unity in diversity' was anything to go by, Claudia Li’s spring 2019 show certainly proved it. The New Zealand-born Li, made a bold statement by casting only Asian models at NYFW. It was the her way of dispelling the myth that Asians are not monolithic group, as she told The Huffington Post. She said that she made this particular choice to highlight, "the diversity and uniqueness among Asian-American women." "I feel like often the fashion industry just tries to check a box — i.e., ‘We need an Asian girl for our show.’ But what kind of Asian girl? A Filipino girl? 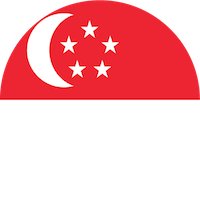 Singaporean? Chinese? Korean? ‘Asian’ doesn’t mean one thing,” Li told Huff Post. She added, “The word ‘Asian’ just means one thing to a lot of people, and we are not just one note. There’s incredible diversity." Li's show was attended by the likes of Crazy Rich Asian star and rapper Awkwafina and not only made headlines for its unique casting, but also for her personal views about the need for more awareness. "Every Asian woman looks different, and there are different personalities"
Speaking to the media post her show, Li shared that she always felt that Asians were placed in a box. Even during her school days she recalled that people assumed she would fit the minority bill or would be nerdy and great at math. "It’s about recognizing that within a race, there is diversity"
But unlike common perception, Li said she had a bold and rebellious personality. She mentioned that she was part of a metal band, played field hockey and even ran off with a surfer, only to be later brought back home by her father. “As an Asian woman, I am automatically seen in a certain way. For me, it’s about recognizing that within a race, there is diversity as well,” she told the media. “There is not one standard Asian beauty. Every Asian woman looks different, and there are different personalities. Asian girls do listen to punk rock and heavy metal and hip-hop. There is not a singular way of defining what Asian is,” the designed noted. Through her show and by casting asian models at NYFW, Li aims to bring more diversity to the table. “It made me really proud to see an all-Asian runway,” she told Post. “I feel excited for the future of Fashion Week because this is an important conversation that needs to happen — not just for New York Fashion Week but for every Fashion Week,” Li added. While Li's unique casting has now become the talk of the town, she is not the OG when it comes to having Asian models at NYFW. Last year, for their spring 2018 show, KENZO designers Carol Lim and Humberto Leon reportedly also case Asian models at NYFW. Some were even flown down specially from Japan, Taiwan and Korea. “We hope to serve as an example for other houses that diversity is important and beautiful,” Leon told Elle at the time. Interestingly, it wasn't just Li who was happy to cast Asian models at NYFW. The gorgeous girls who were part of the show were equally thrilled. For instance, Asian supermodel Moon shared a picture of herself from the show and wrote a heartfelt post Instagram. “There’s no single way to ‘#be’ and Asian woman. I’m glad our culture is finally having a conversation about how Asian identity is represented and portrayed , and I see this season’s show as my personal contribution to it . “-#ClaudiaLi @claudia_li_official@joojoo I was impressed to be a model in this deeply intense show. So thankful and honored having me again (sic)," she wrote. While Chinese supermodel Huan Zhou wrote shared her picture from the runway and wrote, "Thank you for your great trust. A great designer." It seems that as the world wakes up to greater need for inclusivity and diversity, New York Fashion Week has jumped straight onto the bandwagon and for good measure. From casting all Asian models at NYFW, to models with Down Syndrome, to models of all sizes, the fashion industry is certainly more woke than it ever was. More power to such pioneers and we hope that woke trend continues.